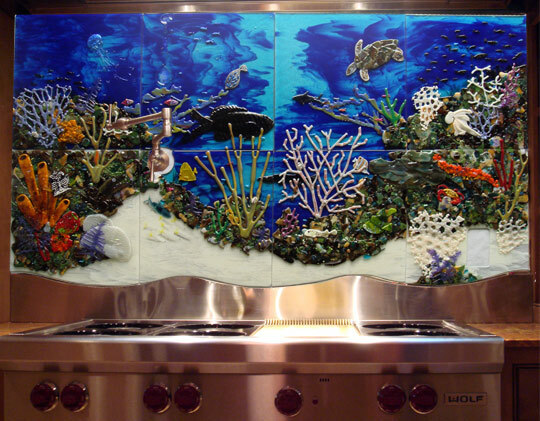 Comprised of 8 individual panels designed to fit seamlessly together. 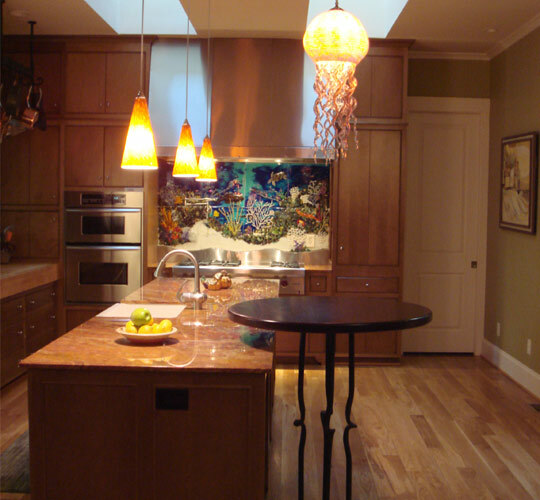 Our clients for this project are diving enthusiasts. 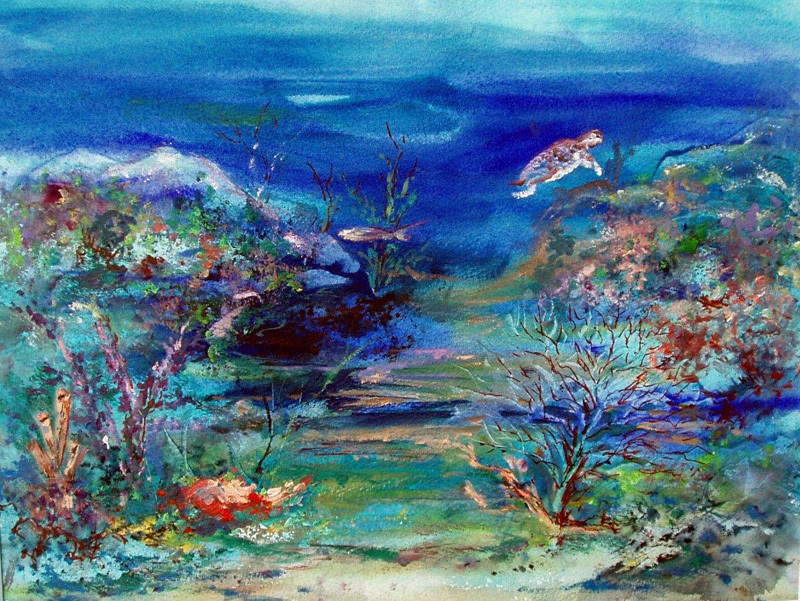 Saundra created the artist rendering from photos of underwater sea life taken during their dives. 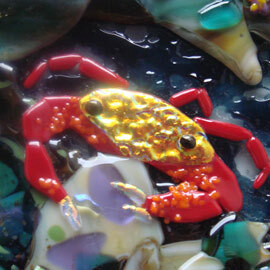 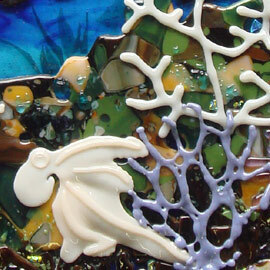 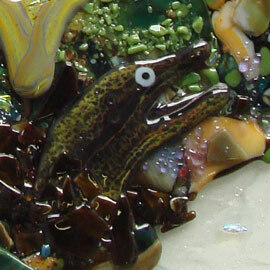 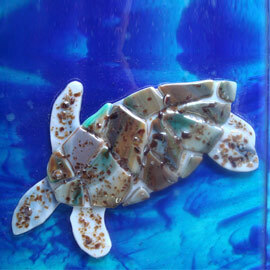 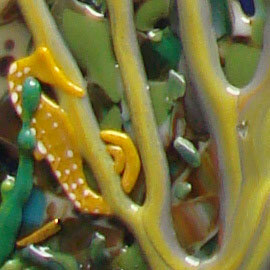 There is an incredible amount of detail in this 100% fused glass mural. 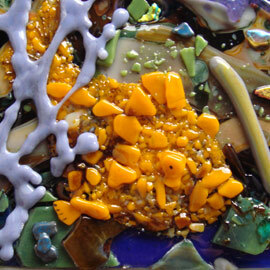 It was so much fun cutting the intricate shapes on our glass saws and bringing all of the design detail together.